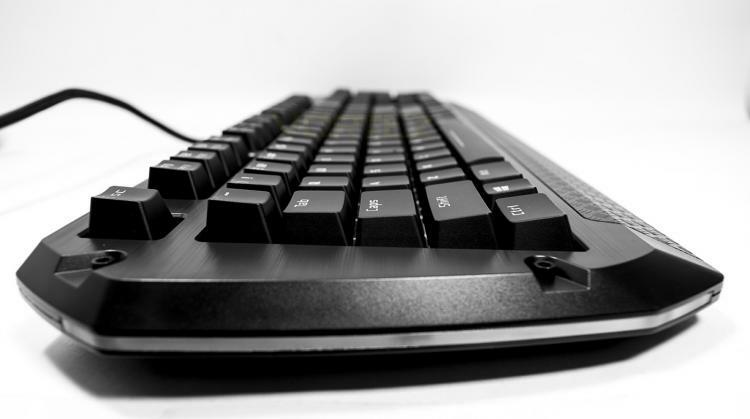 The brushed plastic looks nice, and there is a partial wrist rest which mimics an industrial non slip steel effect. 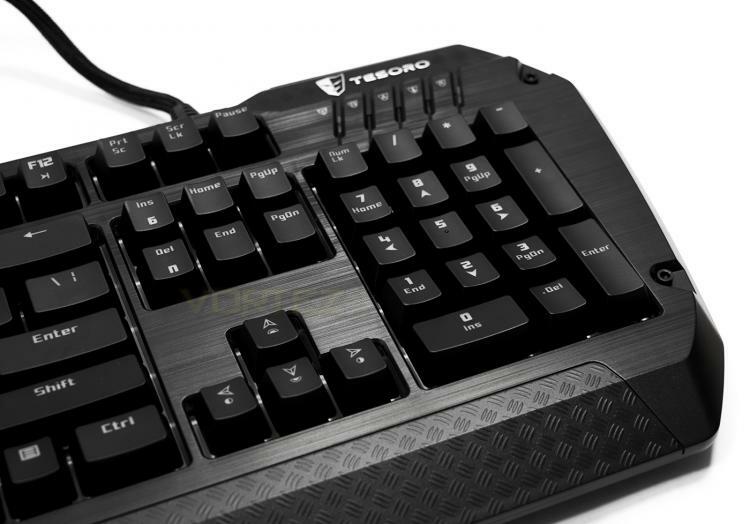 The F keys double as media keys, including quick access to the 5 profiles saved to the onboard memory. The cursors double up as brightness and lighting mode selection keys. There are 4 levels of brightness, not including off, these are 25%, 50%, 75%, and 100% brightness. 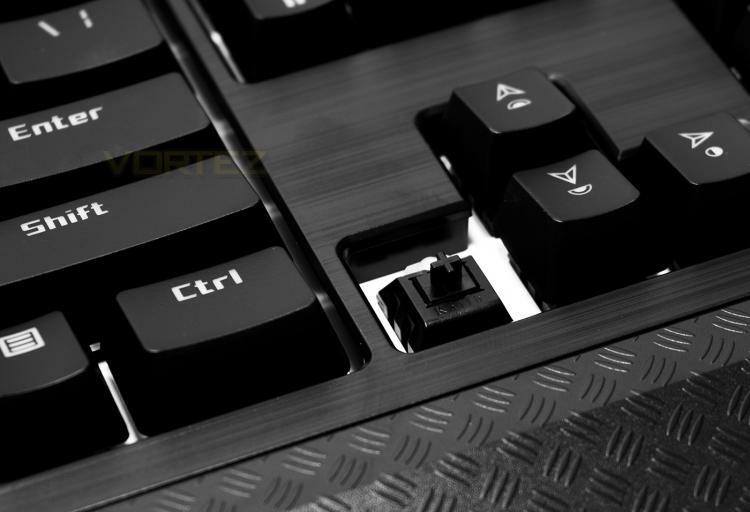 The insert and delete key allow you to choose between 6KRO or NKRO to your preference. 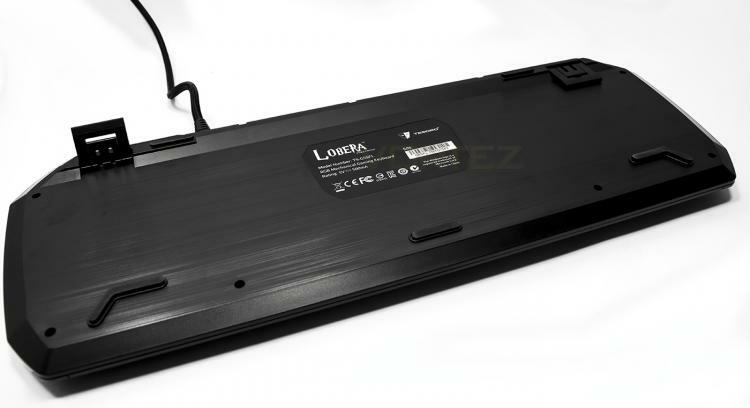 The Lobera is relatively low profile at 25mm high and the extended wrist area will provide a little extra support. Each side has an illuminated LED bar which will spread the lighting out across your desk. The underside offers no cable routing options and is rather plain, with the brushed effect. There are two feet sizes for height adjustment. 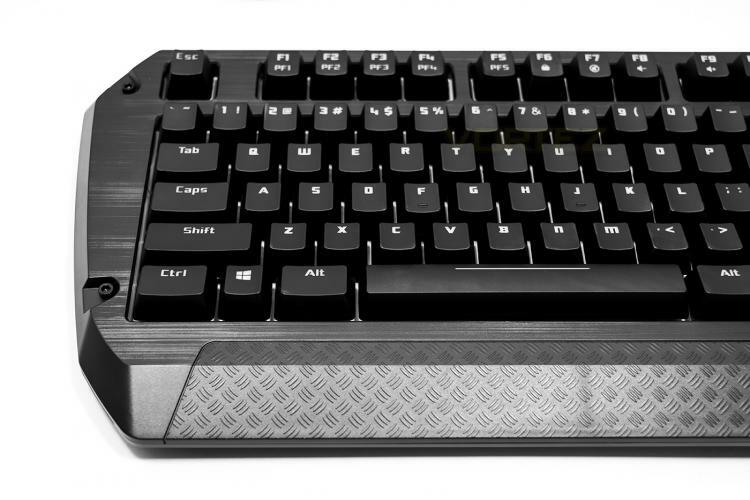 This version we are looking at uses the Kailh Black switches but is available with Red, Blue and Brown also. The Black switches are similar to Red, just requiring a higher actuation force. There are two USB ports available with the pass through and there is a DC in port to help supply them with more power for use with charging your mobile devices. 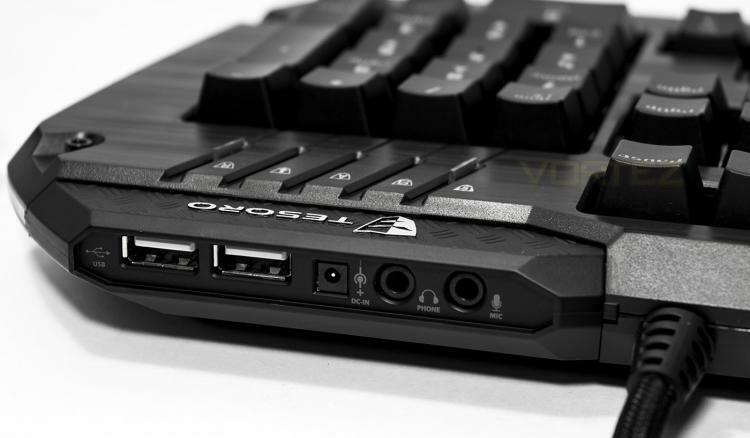 There is also 2x 3.5mm audio ports for headphones and microphone. 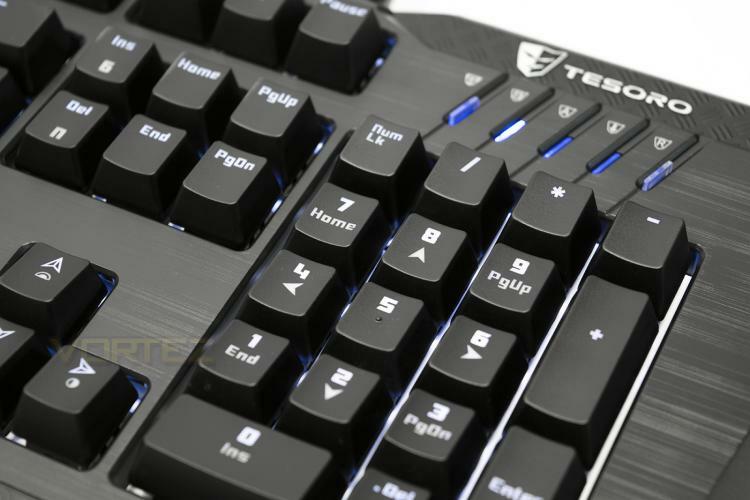 In the top right area of the keyboard there are LED indicator switches for caps, scroll and num lock, though on the far left this LED indicator is also a button for quick swapping gaming and PC profiles, and on the far right, there is a button for quick recording macros.